Studio Wildcard, developers of the hugely popular and critically acclaimed ARK: Survival Evolved, will soon launch an exciting free standalone multiplayer game based on the ARK: Survival of the Fittest mod that saw thousands enjoying battle royal inspired mechanics, but with massive dinosaurs. Much like the Survival of the Fittest mod the standalone version will support up to 72 players in a battle to the death in a Hunger Games style competition within a smaller battlefield. 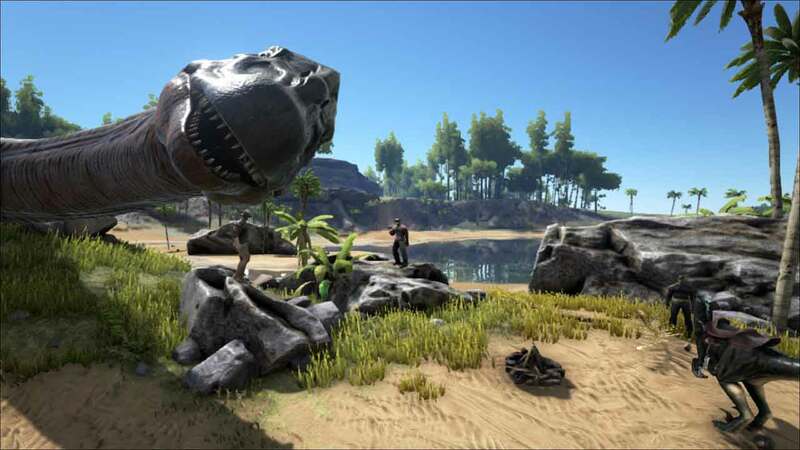 Originally built to support the huge and growing eSports community the world of ARK: Survival of the Fittest is sure to spice up the mix with its detailed Jurassic environment. Previously the mod supported the entire map however the standalone version will use a much smaller version to encourage combat and a more enjoyable experience for all. Survival of the Fittest will include cash prizes for the top 10 ranked players in each game mode.